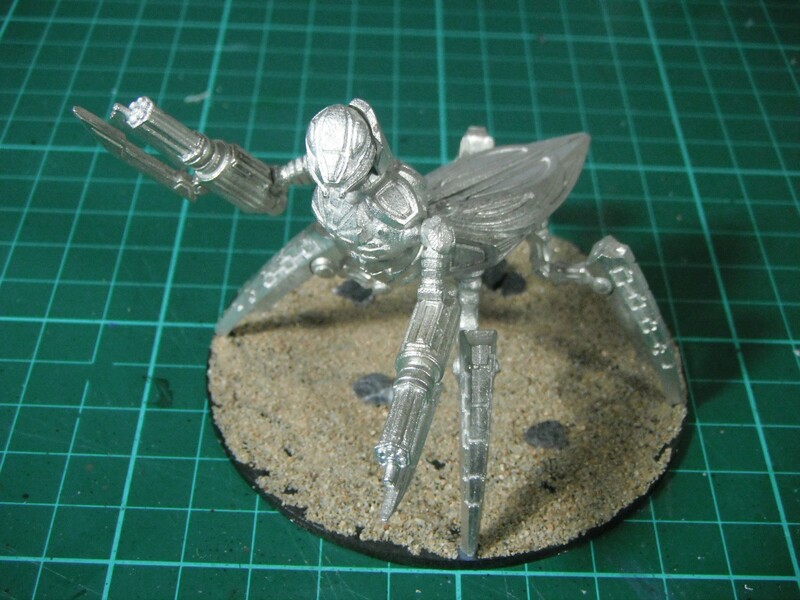 I was very excited to receive this model in the post; it is a Mantis Battle Suit. The model was sculpted by Martyn Wood who is starting up his own miniature company and I have agreed to paint this for his Kickstarter. You can check out his website, The Miniatures Apprentice, for more information about this range. 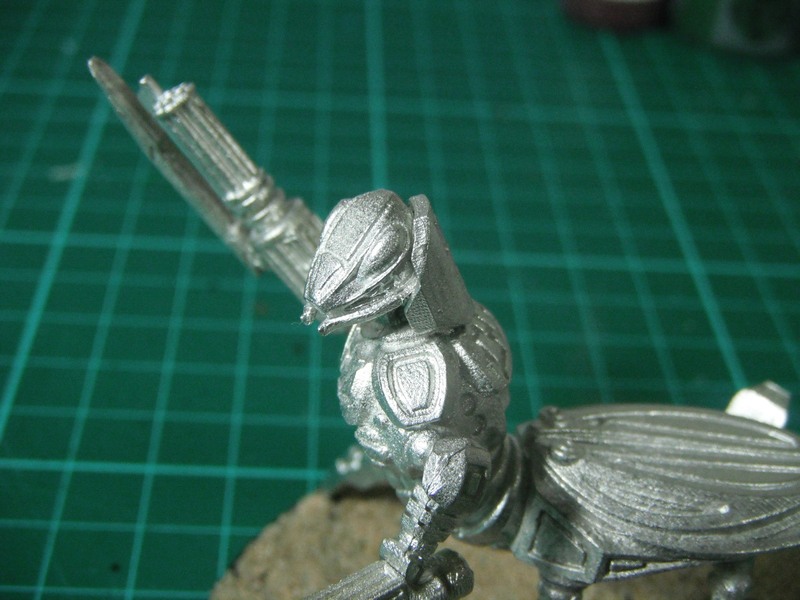 As you can see, model is made of metal and, I must say, the casting is flawless. Because of the size and weight of the model it does require pinning but other than that went together fairly smoothly. I am very much looking forward to painting this up over the half-term break. Interesting concept! Looking forward to the paintjob!